Developed specifically for higher education, MY Access!® College Edition helps students improve their critical and analytical writing skills by walking them through the writing process and providing them with instant essay scoring and detailed feedback. Writing is a skill required across college majors. 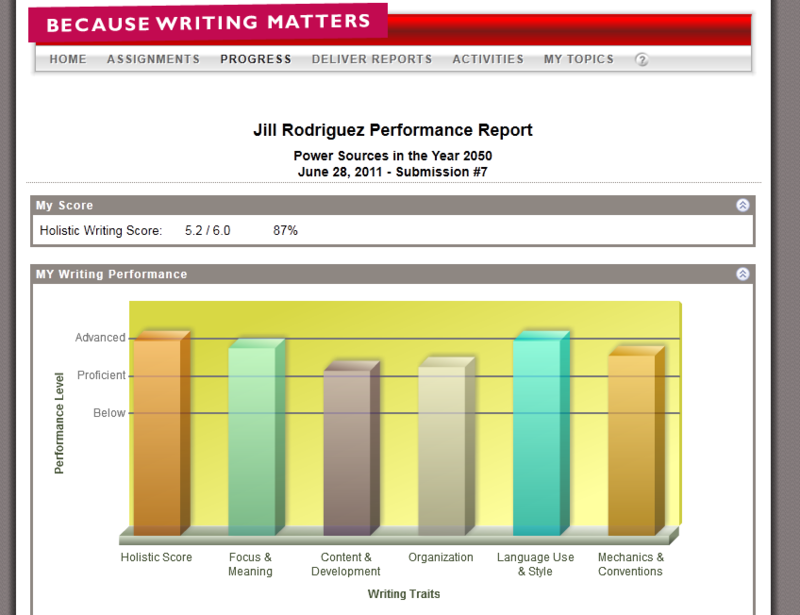 In many cases, writing will be the primary basis upon which a student’s coursework is judged. While writing at the high school level, focus is primarily on the who, what, when, and where of a given subject; college writing places much more emphasis on the how and the why. College instructors expect students to analyze and interpret facts in much greater detail and depth. 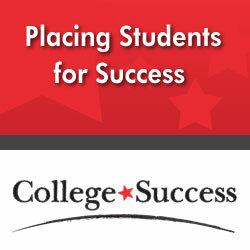 MY Access!® College Edition allows you to assign more writing to your students without increasing your workload. By using IntelliMetric®, the same award-winning automated essay scoring system used to score the GMAT® and MCAT® exams, you can be assured that the feedback your students receive is accurate, consistent, and comprehensive. As students develop their writing skills, they’ll focus on the process of writing itself: planning, organizing, drafting, revising, and editing. They’ll also learn to clearly form ideas, link them together in meaningful ways, and express them concisely, all while obeying the “rules” or conventions of writing. Understanding the writing process quickly becomes a means to reaching higher academic goals and meeting expectations. As students’ writing improves, they’ll find it easier to organize, clarify, and communicate their message across a broad range of subjects. More importantly, students also receive immediate, detailed, and developmentally appropriate prescriptive feedback. MY Tutor® provides prescriptive revision plans with examples to help students focus revision activities based on their strengths and weaknesses. MY Editor® assists in identifying possible errors in grammar, mechanics, style, and usage and then provides recommendations for improvement. Multilingual support in both MY Tutor® and MY Editor® gives nonnative English speakers the opportunity to improve their English writing proficiency with feedback in their native languages. 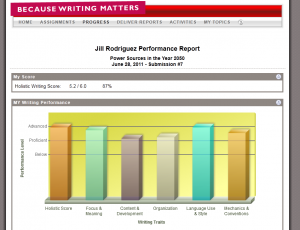 Upon submitting their writing, students receive a Performance Report, which provides them with a holistic score as well as scores in each of the standard domains of writing. They also receive Revision Goals, which provide guidance for improving their writing based on their current scores. Model documents are included for comparison to help them improve.